Two people were injured during a shooting at a funeral home in the city's Albany Park neighborhood Monday night. 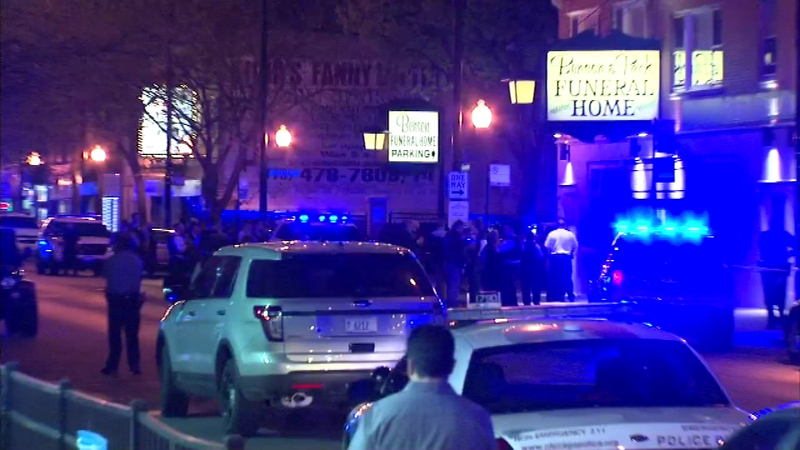 CHICAGO (WLS) -- Two people were injured during a shooting at a funeral home in the city's Albany Park neighborhood Monday night. Sources tell ABC7 Eyewitness News that a visitation was underway for a gang member when the shooting happened in the 3200-block of West Monroe. Two people were hit, but are not seriously hurt.